Just changed today the rear tire, after having kept the one by default when I bought that trike (summer 2011). Just to keep track, this post, with the references of the new one. 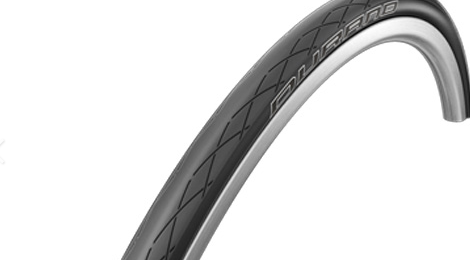 What I consider now as my “bike-shop”, Good-Feeling Bikes in Basel, recommended me that Schwalbe Performance Durano (for me 28-559, 26×1.10, RaceGuard, art no. 11600162.01, HS399, B/B-SK). “For mile eaters”… So let’s eat again tomorrow morning ! The weather forecast for the week looks good. Although a bit chilly in the morning, with a given 12°C.